Cork-based renewable heating, ventilation and electrical specialists Energywise Ireland has advised anyone undertaking a low energy build or upgrade project of the value of choosing a single M&E design, supply, installation and commissioning company to ensure smooth integration of all building services. Berth Sheehy of Energywise Ireland explained to Passive House Plus how the company approaches a job. “The first thing we do, after we’ve consulted with the client and architect is go ahead and draw up and design everything. He continued: “We then send these back to the client for approval to make sure they’re happy with everything, and then once that’s signed off, we send the drawings to the builder so they can incorporate the M&E into their build plan.” Energywise Ireland will then use its own engineers, plumbers and electricians for installation and commissioning on site. Design and installation of all the M&E services in this way also enables Energywise Ireland to make sure the building’s services are installed and integrated together correctly, and that the airtight layer is protected. This means that there is no duplication or wastage of equipment or energy. Energywise Ireland is focused on low energy projects with the aim of minimising running costs and maximising comfort the homeowner. 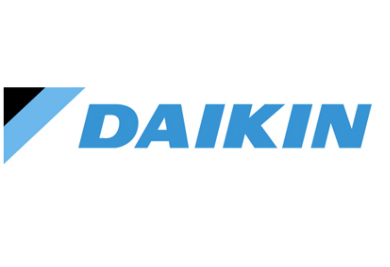 It works with leading brands including Daikin, Brink, ABB, Nilan and more. He added that this approach means the company can bring a full range of expertise to a project, with its in-house electrical, mechanical and building service engineers — as well as its electricians and plumbers — ensuring everything runs as smoothly as possible on site, making it an easier build for both the homeowner and builder. Energywise Ireland also supplies and installs the ABB Free@Home control system on many of its projects, allowing for easily integrated control of heating, ventilation and lighting via a simple-to-use smartphone app, providing homeowners and building occupants with maximum efficiency and energy savings. “It’s basically a smart home control system without the high cost,” Sheehy said. Energywise Ireland is an expert in the field of renewable energy heating systems and electrical products and services.